NICI Pirates are watching a movie at The Cathay today! The Cathay used to be just like your cinemas in the olden days where the whole building is made up of many theater halls. 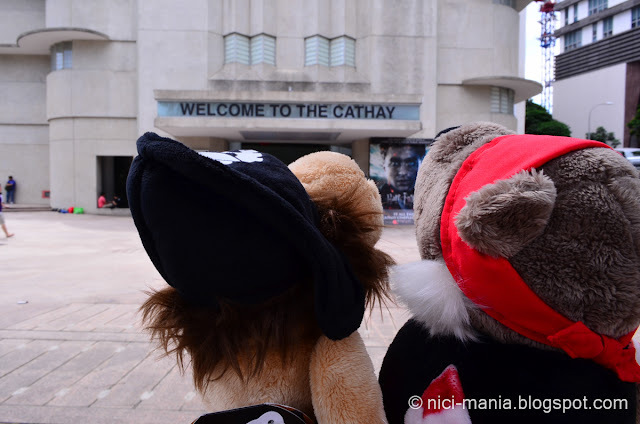 The Cathay is now a shopping center too and Singapore Idol auditions were held here previously. This unique looking building beside the Cathay is SOTA (School of the arts Singapore). Pirate Bear: We are at the Cathay, what movie are we going to watch today? Pirate Lion: I see a Harry Potter poster. 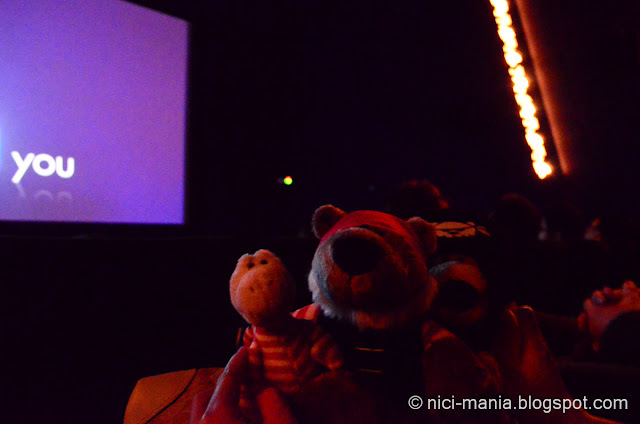 Pirate Bear: That movie is for kids, we're pirates! Pirate Lion: Then we should watch Pirates of The Caribbean, I love Johnny Depp. 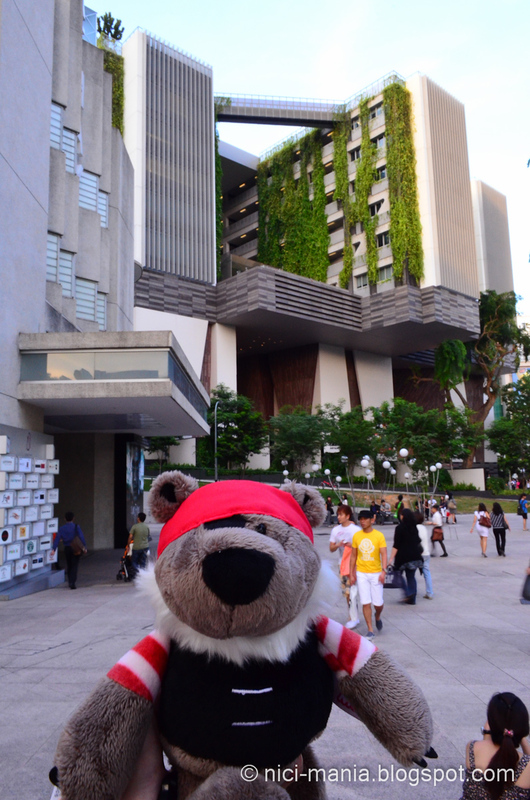 Pirate Bear: You idiot, that movie is no longer showing in the Cathay. Pirate Gecko looking at all the shops inside The Cathay. 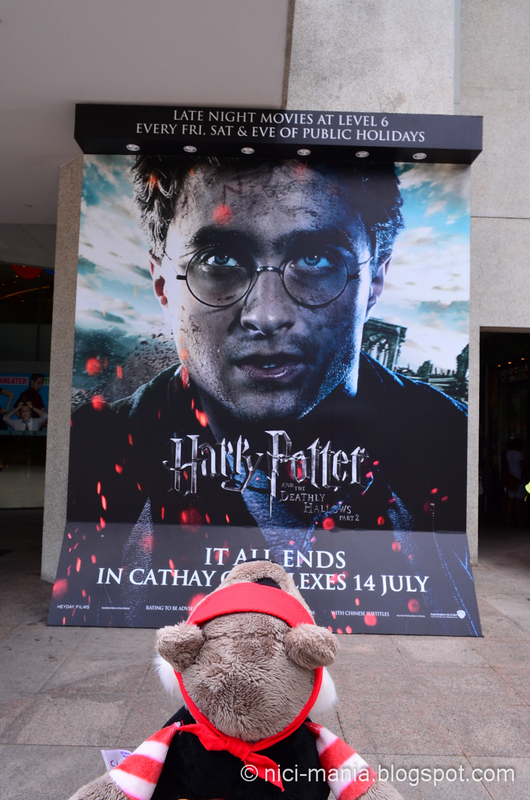 Harry Potter in 3D is occupying the Grand Cathay hall today, which is one of the biggest cinema halls. NICI Pirates are going to watch Transformers! We loved the first and second Transformers movie, eagerly waiting for the third but it was so hard to get the tickets in the first 2 weeks. 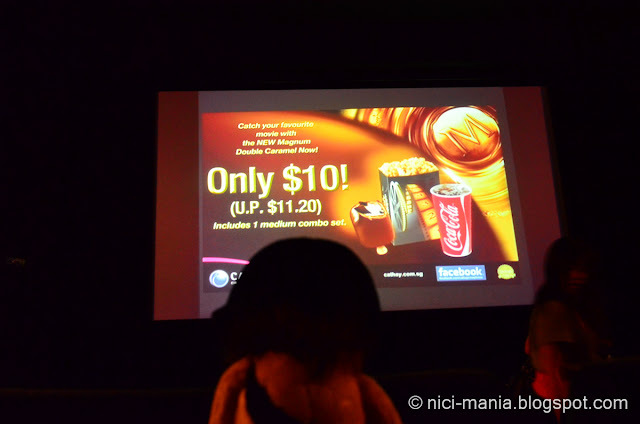 The movie counter at the Cathay is right in front at the ground floor. NICI Pirates got the tickets! Now we have to wait till the movie starts, another 40 minutes more. 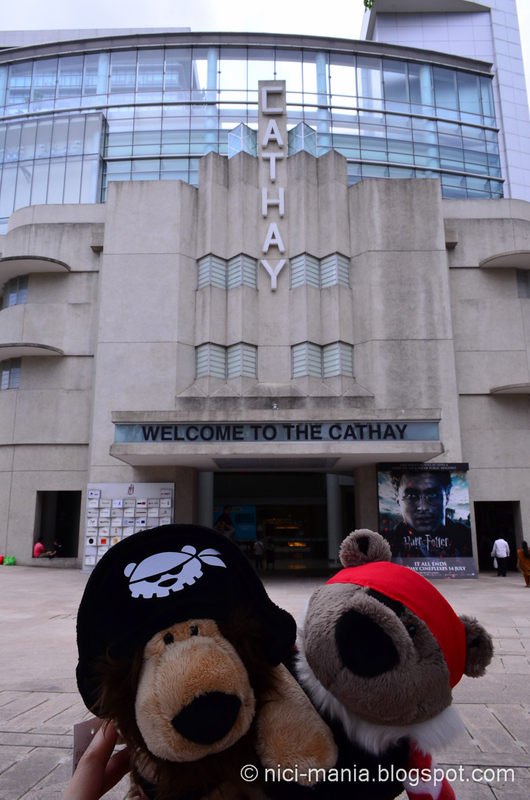 Our pirates are going to walk around in the Cathay. 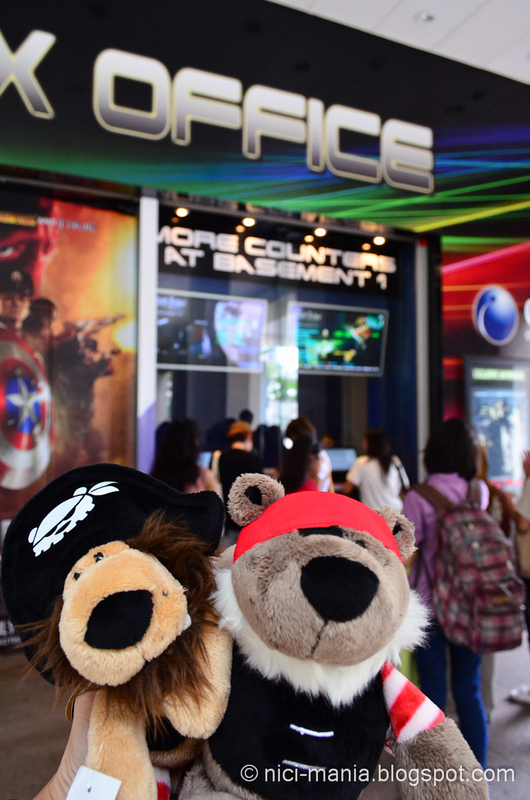 Pirate Lion: Look! There's a fountain downstairs. 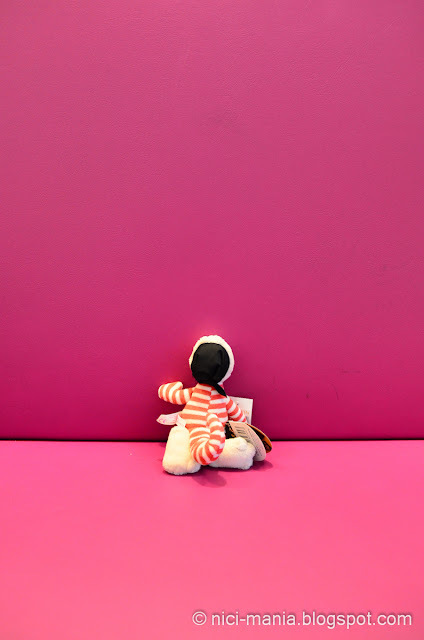 Let's go have a look. Hello Pirate Gecko! You're back on the team. 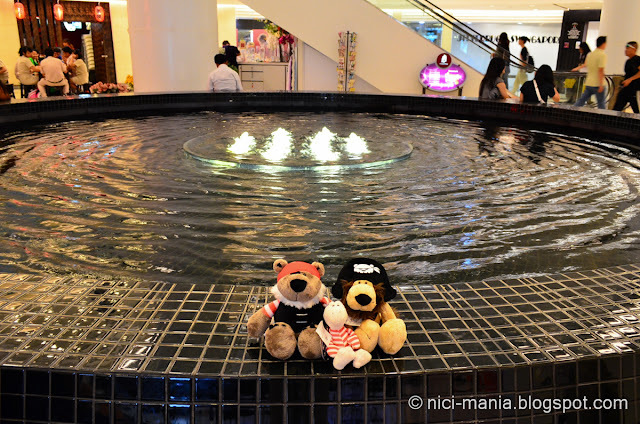 This round fountain at the Cathay serves no purpose except for us who needs a place to sit around while waiting for the movie to start. 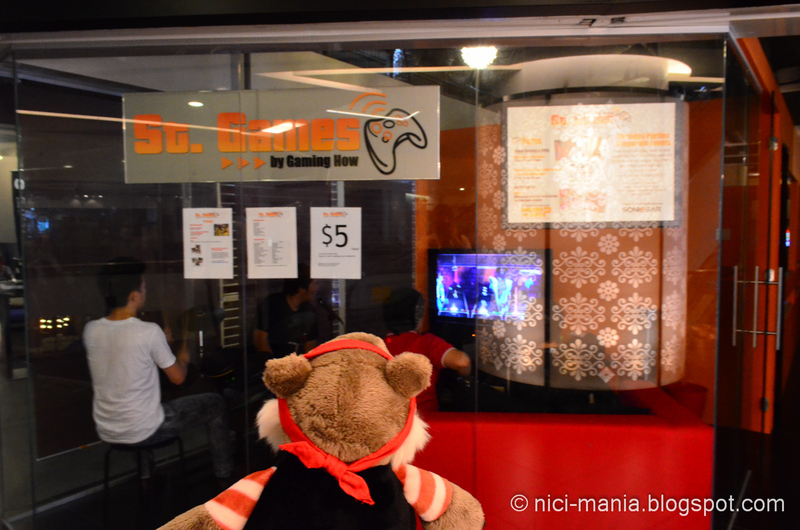 Pirate bear found some guys jamming in a band with drums, bass, guitar and even vocals! It seems really fun! Because Guitar Hero is just the guitar, this is a full band wow~! 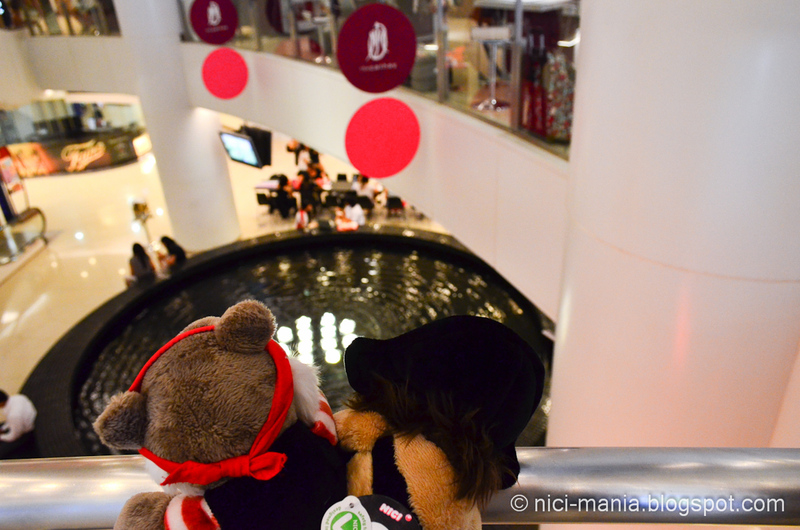 Movie is going to start soon, NICI Pirates are at one floor right below the Cathay theater halls. 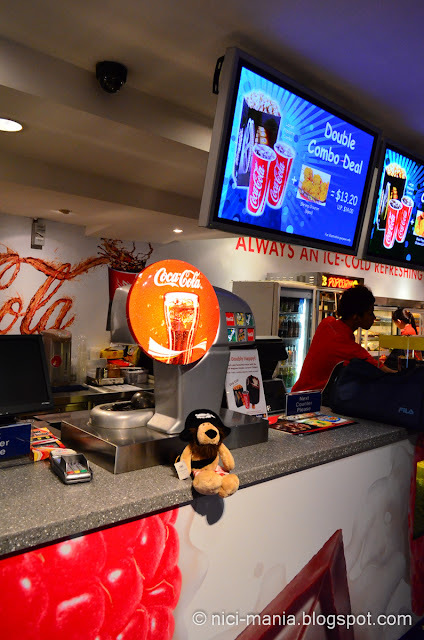 Pirate Lion: Anyone wants to get any drinks or popcorn for the movie? 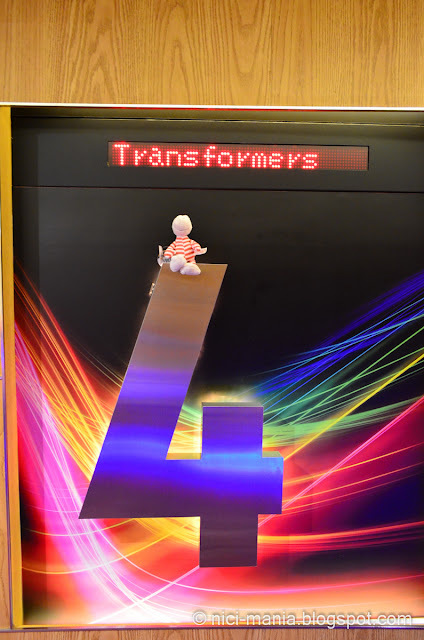 Our movie is at theater 4. Hall 1 is the Grand Cathay. 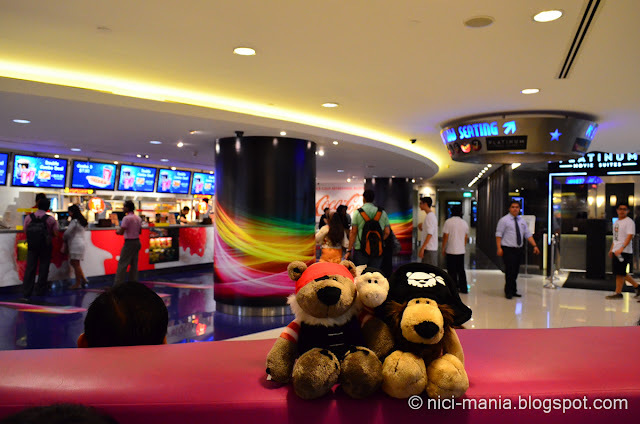 NICI Pirates are inside the Cathay theater hall. 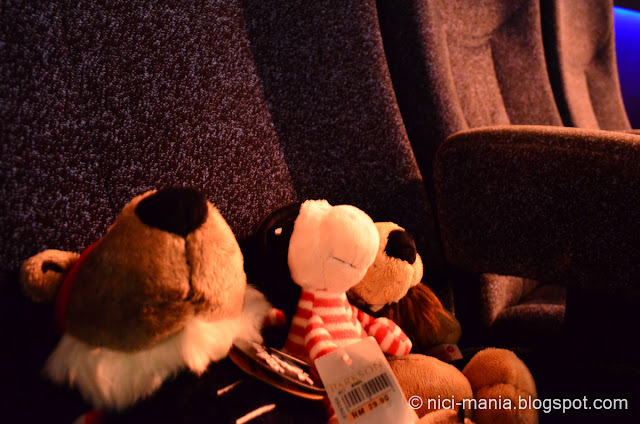 3 of you sharing one seat watching the movie for the price of one! 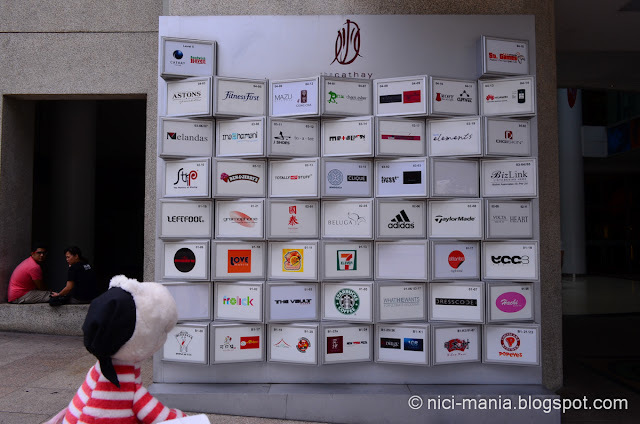 Very clever.. Sit down pirate lion, you are blocking the view. 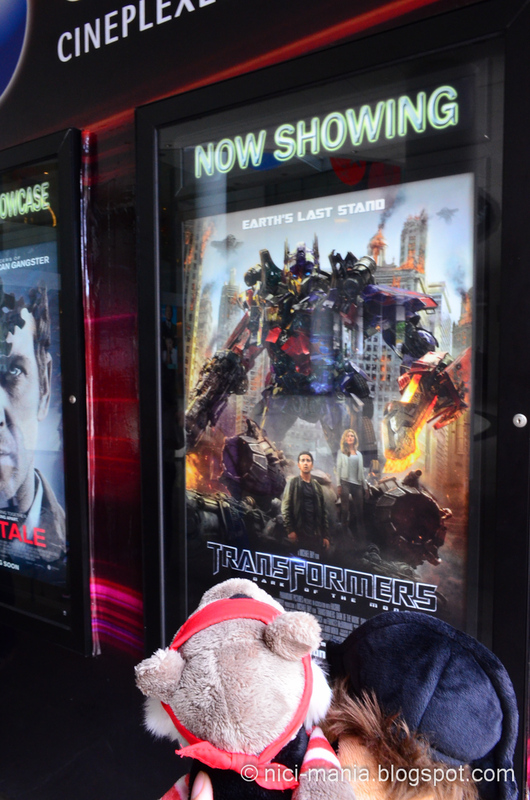 Transformers movie is starting soon! 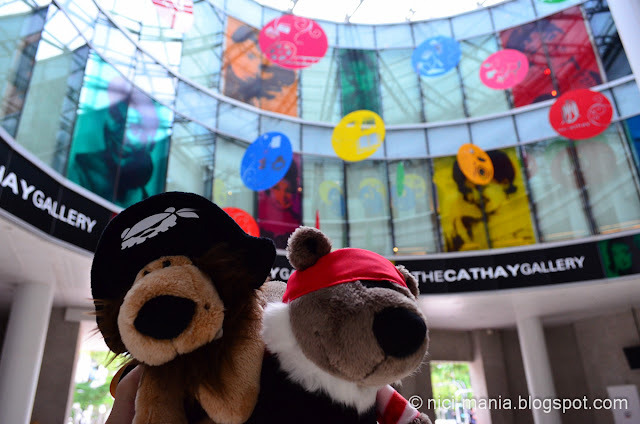 Got to keep our camera now, NICI Pirates are going to watch the movie, see you next time at the Cathay again or other cinemas!